Samsung presented Topp the challenge of redefining the Tizen mobile platform. Topp became the strategic innovation and design partner for Samsung, and responsible for re-envisioning the Tizen platform. In January 2015, the Samsung Z1, a mass-market mobile phone targeting the Indian market, was successfully launched. It is the first mobile phone ever released running Tizen, and the experience was strategically scaled to satisfy device performance and market requirements. 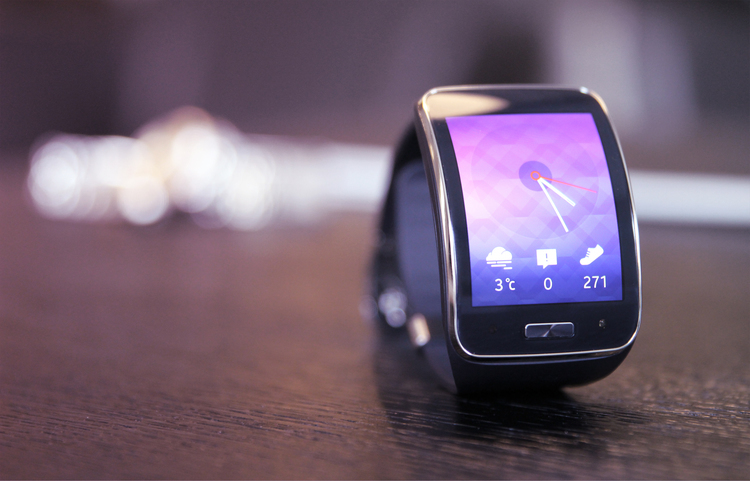 Its launch marks the starting point of a series of devices running the Tizen platform. Topp has been a long time design partner of Samsung, with the scope of engagements ranging from mobile apps to developer ecosystem strategies to wearable experiences. Tizen presented a unique opportunity to create a contemporary mobile platform firmly rooted in UX principles. These principles needed to scale across a wide variety of devices as the Tizen vision will reach the high-end device and the mass-market experience. Viewed on its own, the Samsung Z1 is a mass-market device. The reality is that this is but a glimpse into an ambitious trajectory of a platform that has a distinct vision and is built to scale from low to high. The approach which Topp has taken with Samsung has in fact been to define the future of that vision well before the definition of any particular device. We established UX trajectories, and have established future versions of Tizen which are setting direction. By working towards UX trajectories and gracefully scaling to lower resolution displays, and mass-market processors, we ensure that Tizen has a path trail blazed before it, and won’t be stuck with incremental feature updates. Though we can’t share many details, future innovations on Tizen look to empower the user with customization, updated styling, and powerful new interaction patterns. WHO IS THE DESIGN FOR? Members of the Topp team have driven the design of several mobile operating systems previously. One of the key considerations in OS design is that one must consider no less than four key types of recipients! Mobile platforms in general, are relatively mature as a design space because of the richness of existing developer communities. Introducing new design into framework elements must be considered carefully, and value weighed objectively, as each innovation will have cascading effects on the expectations of the community. Designing Tizen would not be meaningful, nor successful, if the intent and specifications were not communicated to the countless stakeholders involved in building and shipping the platform. 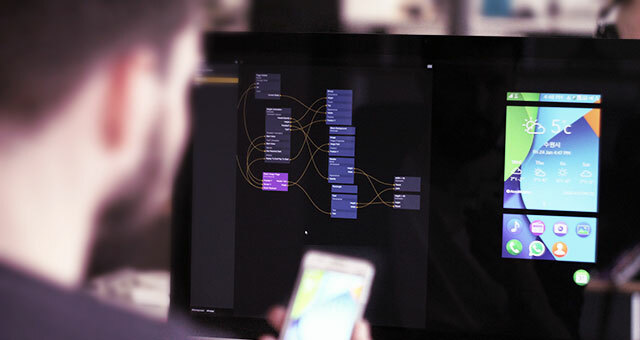 Internal design and dev teams, developers creating frameworks, third parties building apps, marketing teams, and executive level decision makers are just some of the touch-points for communication. Throughout the Tizen challenge, Topp leveraged high fidelity rapid prototyping of experiences and patterns to help ensure clear and aligned communication. The benefits of distributing prototypes represents a clear savings in the time needed to review concepts and design intent. The capability of a rich high fidelity prototype to avert the need of hundreds of potential stakeholders reviewing a PowerPoint deck of 100 or more slides was proven time and time again. In the end though, Topp uses prototyping to enable everyone to feel an experience for themselves. The feel of interactive design should be a parameter worked with early and often, and not simply left until its ready to be shipped. Conceptualising and designing an OS is no small feat. Beyond defining a core set of principles and distinct concepts, Topp worked with Samsung to design multiple applications, core and custom controls, style, and documentation concurrently. The underlying practical objective is to define the set of controls and patterns that the platform is built upon. Controls in this context mean elements like check boxes, lists, image behaviors, forms, navigation options, etc. From an app perspective, these are the basic building blocks of life, itself. The natural sequence is to try to define these elements prior to the apps. But to define controls and patterns in isolation, risks irrelevance when they are actually applied – the process challenge is to define these building blocks while at the same time defining the experiences that the controls enable. Clear ownership and frequent reviews between teams and stakeholders – design teams, platform engineers, app developers, sr. management, etc. – become critical. These forums and roles will shape an innovation program. New concepts and ideas must be rapidly prototyped, evaluated, moved into product context, iterated, and hopefully approved for the foundation of the platform. The nuances and necessary risk mitigation of such a program is significant.